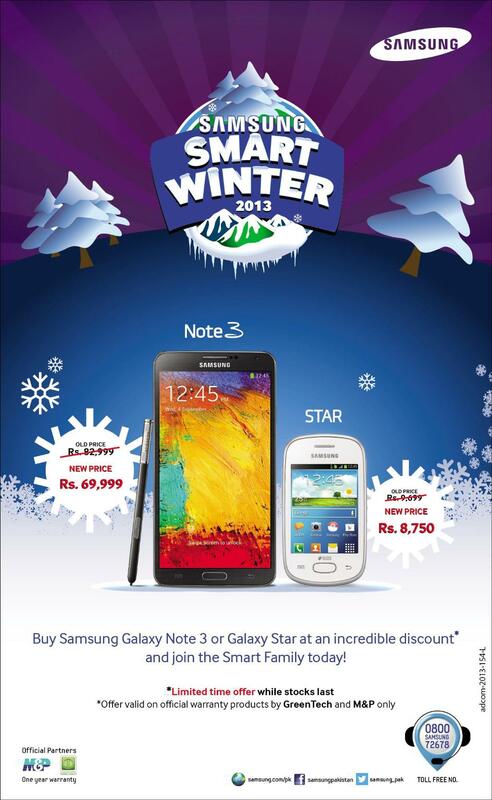 Latest mobiles deals can be found in this section, so you will never stop talking and texting. 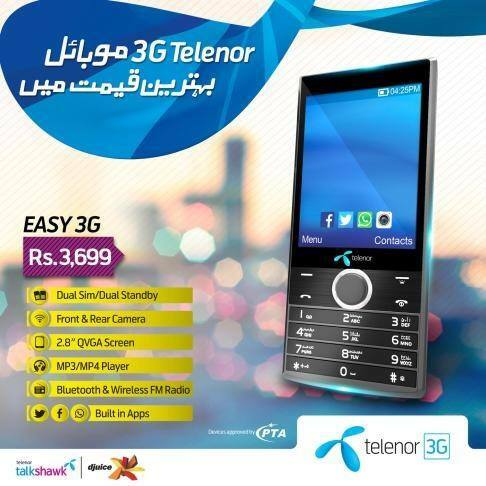 Telenor has launched Pakistan’s Most Affordable 3G phone Telenor Easy 3G at a Price of Rs. 3699 (Almost 3700 Rupees). Telenor Easy 3G is available at Telenor Sales & Service Centers, Telenor Franchises and selected open market retail shops. SIM-1 of Telenor Easy 3G phone is network locked and will work only with a Telenor SIM. SIM-2 of Telenor Easy 3G phone can be used for any network but data will be restricted upto 2G. Telenor Easy 3G works with a Mini SIM. 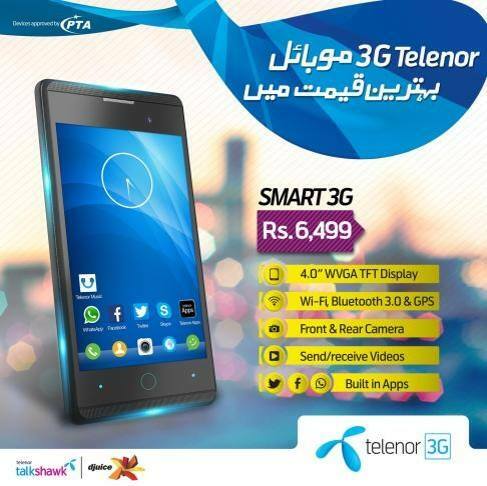 Telenor has launched Pakistan’s Most Affordable 3G Smartphone Telenor Smart 3G at a Price of Rs. 6499 (Almost 6500 Rupees). Telenor Smart 3G is available at Telenor Sales & Service Centers, Telenor Franchises and selected open market retail shops. SIM-1 of Telenor Smart 3G Smartphone is network locked and will work only with a Telenor SIM. SIM-2 of Telenor Smart 3G Smartphone can be used for any network but data will be restricted upto 2G. Telenor Smart 3G works with a Mini SIM. Ufone has launched Pakistan’s Cheapest 3G Smartphone Ufone U5a at a Price of Rs. 6999 (Almost 7000 Rupees). This mobile phone has better features as compared to other smartphones of the same price range. Ufone Smart U5a is available at selected Ufone Customer Service Centres. With Ufone Smart U5a, Ufone is offering free access to Facebook, Twitter and Whatsapp along with 500 MB mobile internet every month for three months. Ufone U5a Smartphone is network locked and will work only with a Ufone SIM. 500 MB internet data volume will be given each month for 3 months. Facebook, Twitter and Whatsapp usage will be free for 3 months. Usage incurred on external links will be consumed from 500 MB. User can dial *706# to check the remaining balance of internet bucket. User can also subscribe to other internet buckets in addition to free bucket. In case of subscribing to another bucket, Facebook, Twitter and Whatsapp usage will be counted towards that bucket. Provided internet bucket can be used on both 3G and 2G. Smart U5a works with a Micro SIM. Ufone has launched Pakistan’s Cheapest 3G Smartphone Ufone U5 at a Price of Rs. 5999 (Almost 6000 Rupees). Ufone Smart U5 is available at selected Ufone Customer Service Centres. With Ufone Smart U5, Ufone is offering free access to Facebook, Twitter and Whatsapp along with 500 MB mobile internet every month for three months. Ufone U5 Smartphone is network locked and will work only with a Ufone SIM. 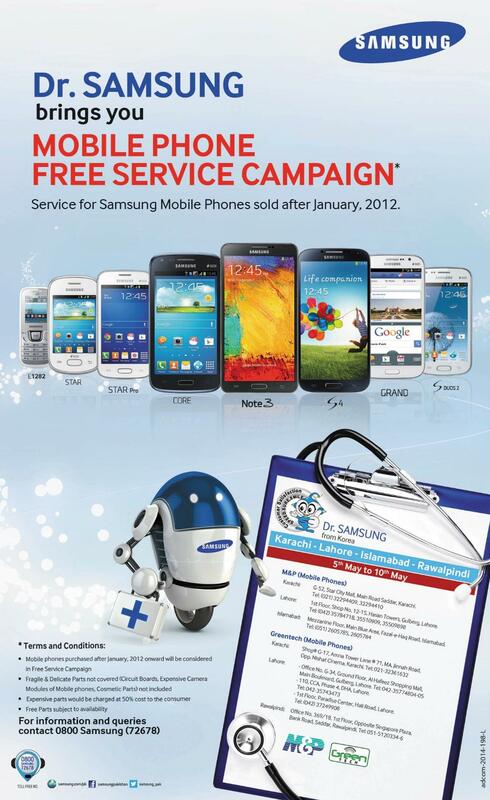 Samsung Pakistan is offering free service for Samsung Mobile Phones sold after January 2012. Offer Valid on Official Warranty Products by Green Tech and M&P Only. Offer Valid on Official Warranty Products by GreenTech and M&P Only. For further details, please dial 1236 or visit nearest PTCL Franchise / OSS.